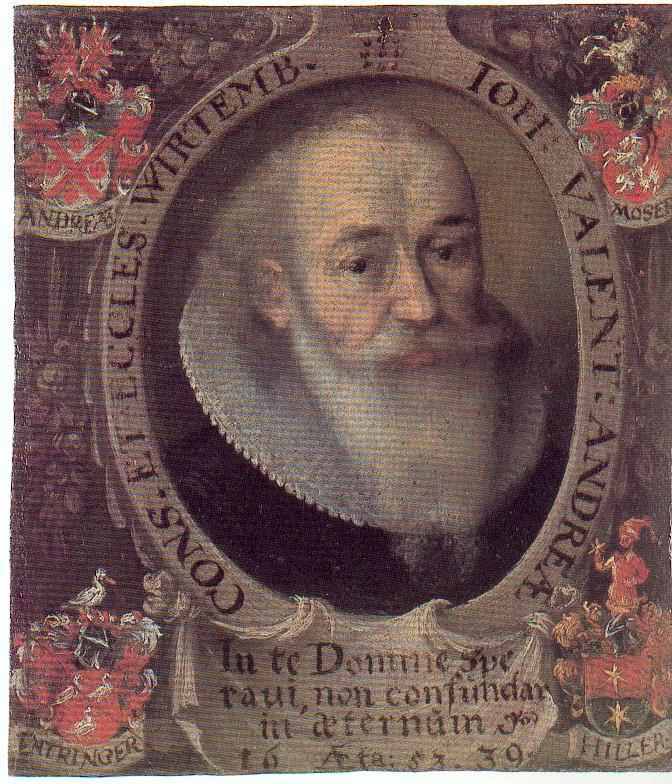 Johann Valentin Andreae was a Lutheran pastor, and the author of The Chymical Wedding of Christian Rosencreutz (1616), a light and sometimes humorous allegorical fantasy of the marriage of the Sun and Moon. Some skeptical authors credit Andrea with the authorship of the “Fama Fraternitatis” and the “Confessio Fraternitatis,” and with the creation of the Rosicrucian mythos as a hoax. The Rosy Cross emblem may have originated with Andrea’s family crest. Crowley wrote a parody of the Chymical Wedding titled “Liber Ambrosii Magi Hortus Rosarum” (see Collected Works, vol. II).